These days, almost everyone is on social media in some form. Be it Instagram, Facebook or Twitter, social media has become a cultural phenomenon, and rather than it being used purely for communication as it used to be, social media has become an integral part of anyone who is entering into the business world. 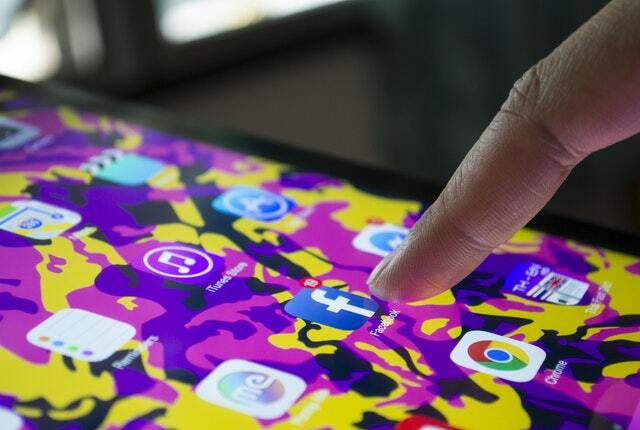 Gone are the days where it was good for a business to have their own social media page, now companies have to know how to use them too so that they can market themselves as best they can to their prospective audiences. If you know how to use social media to your advantage, it can become an excellent tool that will help your brand grow, but before you decide to make the jump and put yourself out there, there are a few things you should learn. Focus on creating relationships – A lot of social media accounts tend to focus on promoting a brand or product in order to get their followers to go and pay for the goods and services that they are promoting. This may work out well for the companies that are paying influencers, but in the long run, it does not work out well for the relationship between an influencer and their followers. People will be happy with advertising here and there if it is useful to them, but when promoters create too many posts about a range of products, followers can get annoyed and consider their advertising more like spam. Networking in the correct way is important with social media, because you need to be making the right connections to attract the right type of business for your brand. Post quality, not quantity – Even though it may seem like a good idea to post en masse every day or whenever you can, people want quality posts over a large amount of posts on social media. Having a fewer people that follow you for a longer period of time is better than having a lot of people follow you for a shorted amount of time. If you have a large following and you can create content that is engaging and enjoyable, it will be easier for you to get your message across to your followers. People who post boring and irrelevant information are less popular on social media that people who post interesting and fun content. Keeping things interesting is what keeps your followers, so if you don’t mix it up a little bit every now and then, you may start losing some of your followers. Keep an eye on your competition – One of the most underrated functions on most social media sites that the moment is the use of the search bar. Not only is good to help you find specialized content to suit your needs, but it can also be used to check up on possible competitors to your business who are using the same platform. This will help with your social media page, so that you can adjust your social media strategy accordingly. For example, you may want to run a competition and give out prizes to some of your top followers, but if another company that is similar to yours has already done that recently, you may want to take a different approach to attract customers. It can also help you see what the target market are interested in, based on how they engage with different posts on social media. The key thing to remember here is to stay informed, which is what most people love about social media. Create an appropriate name and email for your brand – If you’re using social media for your own business and you want to attract a certain type of person, you may need to think about changing your email and your name on social media to something that is appropriate if it isn’t already. People are not going to take someone seriously who has a silly or inappropriate name, so if you can make a separate account for work and business related social media posts, it will be a lot better for you than if you use your other email or social media account. It may seem straightforward and understandable, but a lot of people make this mistake and it can be detrimental to their business and their brand. Brace for negativity – When you put yourself out there on the internet, you run the risk that you might find people out there that don’t like what you’re doing or what you’re promoting. Some people may think it is better off to hide any negative comments that come, but if you can reply to some of them courteously and politely, then you will look a lot better than if you just leave it or hide it. Taking the time to respond to your followers concerns also shows that you care. Even if you don’t get through to the person making the complaint, you may get through to someone else on your page instead. Responding to negative comments rather than ignoring or deleting them also gives you credibility and shows that you are real and can deal with real issues. Still think you could use some more help? Upskilled is a company that helps you to study at any level in any field to help you get the qualifications and skills you need to further yourself in your career. You’re given support from people who have industry experience and knowledge, and you can study from the comfort of your own home. They have everything on offer from Short courses to Bachelor’s degrees that are suitable for all skill-sets. Why not start with their short course in Effective Networking, to help you make the best decisions for your brand using social media and networking effectively?